I am a pretty avid, some would say obsessed, collector of recipes. I have stacks of cookbooks, binders filled with recipes torn from magazines and computer folders filled with untold amounts of digital inspiration too. Anyone else in the same boat? If you are, I have something to add to your collection. Short Stacked Editions cookbooks are hand-bound, short-format cookbooks about inspiring ingredients created by the country's best authors, chefs and food writers. They feel special and personal. Each edition is focused on a single ingredient. Beyond just recipes, each author gives you reasons why you need to love and use that ingredient. Take for instance Volume 8 by Rebekah Peppler; it's all about honey. 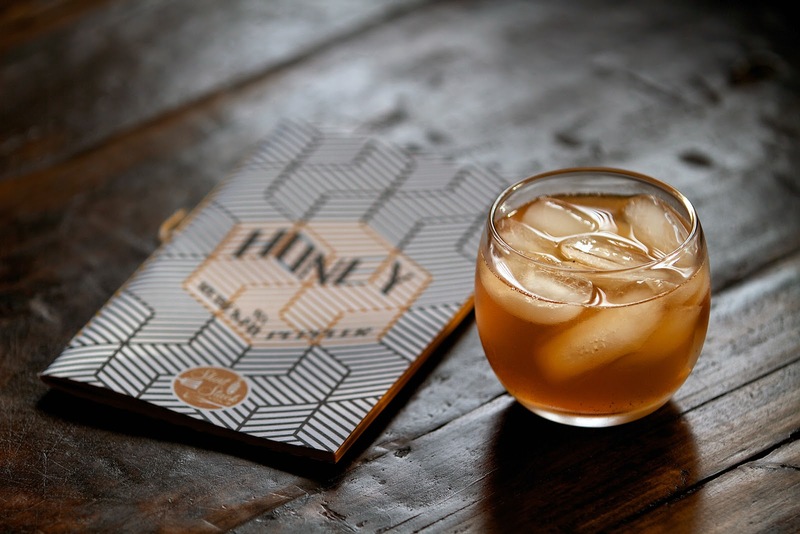 Most people think honey is just a way to add sweetness to tea or baked goods, but it's so much more than that. The recipes range from cocktails to popcorn, caramel to pickles, main dishes to desserts. Her writing style is informational, and at the same time casual and relatable. The recipes are a great mix of sweet and savory. Since it was a Friday night, I immediately jumped to the cocktail selections. They did not disappoint. Given my newly acquired love of bourbon, I first tried the recipe for a Vanilla Honey Old Fashioned. It was totally worth the trip to the store to get fresh vanilla beans. Then I went for the Bee's Knees. 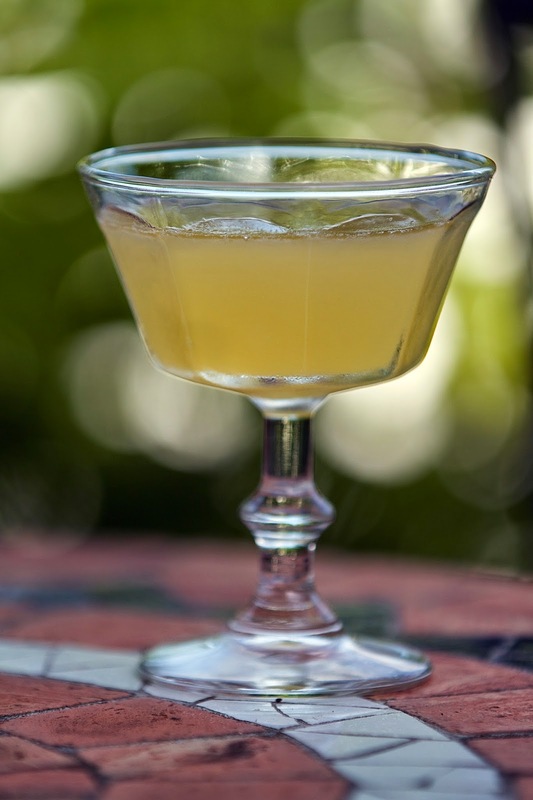 Wow, what a great summer-sit-on-the-patio cocktail. The honey syrup balanced out the botanicals of the gin so wonderfully. It went down really easy. Now I think I'll go back to the front of the book because there is a recipe for honey bacon that I just have to make next. Want to get the recipe? Well, here's the cool part! Short Stacked Editions not only gave me a copy of Honey to review, they gave me an extra copy to give to one of my lucky readers! 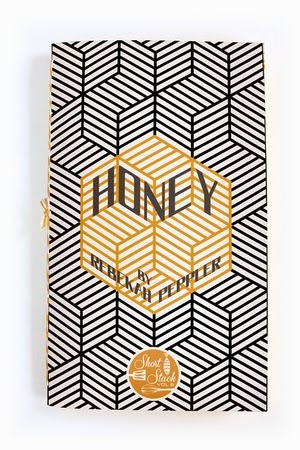 So, now is your chance to get a your very own copy of Honey by Rebekah Peppler from Short Stacked Editions. Plus, I'm throwing in a jar of local honey to sweeten the deal. Enter below and then next Monday (June 30, 2014) I'll announce the winner! Sweet! *Giveaway ends June 30, 2014 at 12:00 AM EST. Void where prohibited. Winners will be selected randomly via Rafflecopter.com and be notified by email. Each winner will have 48 hours to respond and provide a physical address to which the prize will be mailed before a new winner is selected. If this information is not received, an alternate winner will be chosen by random drawing. The product offered for the giveaway is free of charge, no purchase necessary. Facebook and Twitter are in no way associated with this giveaway. By providing your information in this form, you are providing your information to Local Food Rocks alone. We will not share or sell information and will use any information only for the purpose of contacting the winner. Local Food Rocks is not responsible for claims based on technical difficulties, participation in giveaway and/or acceptance or use of any prize. By entering the giveaway, entrant waives any claims arising out of or related to the giveaway. Disclosure: Local Food Rocks received two copies of the cookbook free of charge - one for review purposes, the other to give away. We were not compensated for the post. All opinions on the product are solely that of Local Food Rocks. I use honey in my homemade bbq sauce. It amps up the flavor of my slow cooked baby back ribs. I love using honey in my recipes, especially one for Chinese chicken. And, it comes in handy when you have a scratch throat. I not only use honey for tea but for my homemade bbq sauce. I also use it as a lip scrub. I mix it with sugar and vaseline. Works like a charm! I'm just learning to use honey as a condiment. Love its sweetness and naturopathic traits. have the best honey biscuit recipe my family loves! I use it everyday with my tea :) Yummy. Spread it on toast, English muffins, dipping apple slices--so good. On fresh plain yogurt with almonds sprinkled on top, accompanied by a slice of toasted whole wheat bread with butter. I use it as a sweetener in my pumpkin pie. I have never used it but I want to try it.